New Transport Mikron Insecticide combines powerful performance with an exclusive, truly advanced formulation, for a general pest control solution unlike any you've ever seen before. Non-repellent Transport Mikron Insecticide provides fast-acting, long-lasting control of bed bugs, ants, crickets and over 30 other pests, including pyrethroid-resistant insects. 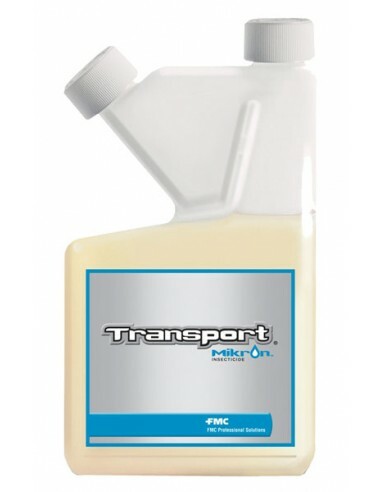 Transport Mikron is formulated with a powerful combination of two active ingredients: bifenthrin, the same trusted active ingredient found in Talstar insecticide, and acetamiprid, for enhanced speed of kill. This one-two punch delivers lightning-fast control and enduring residual protection to even your toughest pest control issues. The unique chemistry of Transport Mikron Insecticide provides lasting protection up to 90 days or more, depending on the pest. 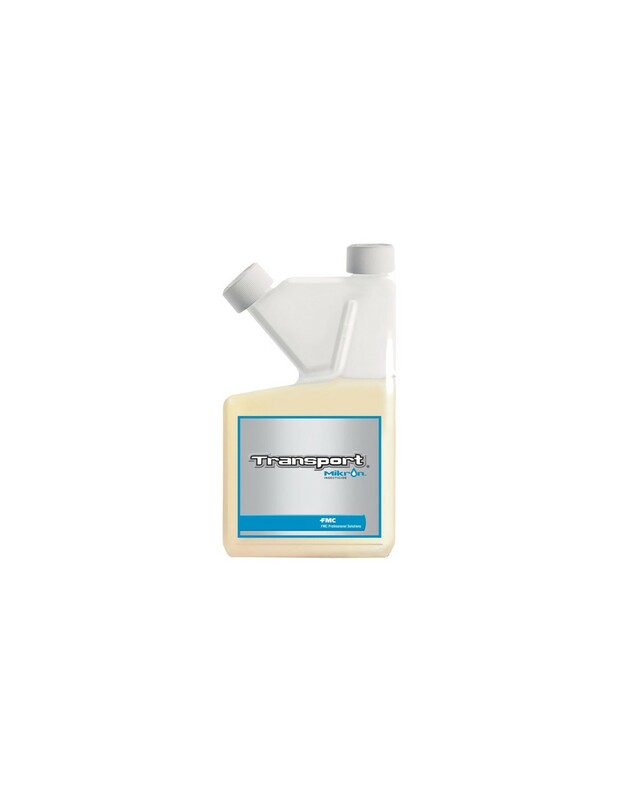 With its sheer power and dependability, customers using Transport GHP have noticed a major reduction in re-treats, even on their toughest pest problems. It's no surprise that so many are switching to Transport GHP. 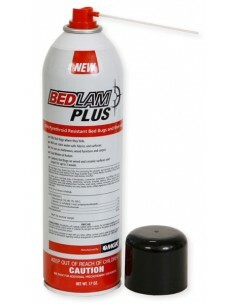 To control termites and listed household pests indoors and around the exterior perimeter of residential institutional, public, commercial industrial buildings, and non-commercial barns (i.e., non-commercial barns are storage structures not intended for housing livestock other than pets), and food/feed handling establishments. Where to Apply: Apply as a pinstream, spot, crack and crevice, or perimeter spray on and around outside surfaces of residential and non-residential buildings and structures including, exterior siding, foundations, porches, window frames, eaves, patios, garages, areas adjacent or around private homes, duplexes, townhouses, condominiums, schools, noncommercial barns (i.e., non-commercial barns are storage structures not intended for housing livestock other than pets), house trailers, apartment complexes, carports, garages, storage sheds, and other structures, and other areas where pests congregate or have been seen. 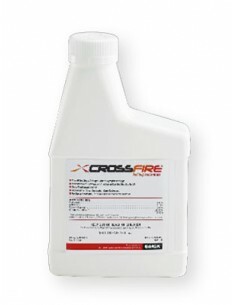 While this product is not for use on turf or lawns, adjacent (i.e., perimeter) treatment is permitted as directed by the Perimeter Treatment Application Rate. Perimeter Treatment Application Rate: As a perimeter treatment, apply as a continual band up to 10 foot wide around the structure and upwards along the foundation to a height of up to 3 feet and around windows, doors, other penetrations and roof eves, soffits and overhangs. Spot treatments may be applied beyond the 10 ft-wide band around structures in areas where pests congregate or have been seen. Apply Transport Mikron Insecticide in sufficient amount of water (see Dilution Chart on label) to adequately cover 1,000 square feet. Dilutions may be applied at either high or low volumes. 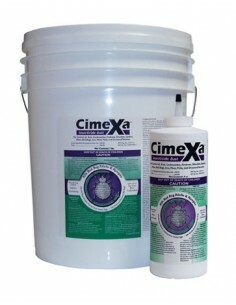 Do not apply more than 1.25 fluid ounces per 1,000 square feet. Mixing Directions: When using spray rigs, fill tank 1/4 to 1/3 full with water. Start pump to begin by-pass agitation and place end of treating tool in tank to allow circulation through hose. Add Transport Mikron Insecticide. Add remaining amount of water. Let pump run and allow recirculation through the hose for 2 to 3 minutes. For backpacks and handheld sprayers, fill the tank full with water. Add Transport Mikron Insecticide. Agitate tank gently before adding remaining water. Close application equipment. For other types of sprayers, Transport Mikron Insecticide may be mixed into full tanks of water. Fill tank with the desired volume of water and add Transport Mikron Insecticide. Close and gently shake before use to ensure proper mixing. 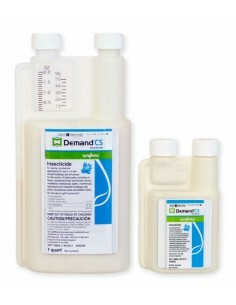 Mix only the amount of dilution needed for application. 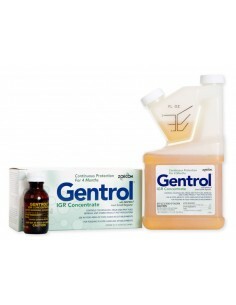 Retreatment may be necessary to achieve and/or maintain control during periods of high pest pressure. Repeat application is necessary only if there are signs of renewed insect activity. *Cis isomers 97% minimum, trans isomers 3% maximum. This product contains 0.44 lb. acetamiprid and 0.53 lb. bifenthrin active ingredients per gallon.